The 1st Cuddington Sea Scout Group are taking part in a 100 mile sponsored rowing event this coming Saturday (15th June) and supporters are being sought to cheer the rowers on as they row along the Thames. 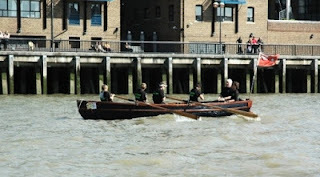 The sponsored row which involves two Warspite gigs rowing 55 mile each, 100 rowers in 18 teams and two support crews is in aid of Princess Alice Hospice and the Scout group. Members of 1st Cuddington Sea Scout Group, their friends and families and supporters of the group are being asked to line a stretch of the River Thames and cheer members of the group as they row from Mapeldurham lock and down the 55 miles to the group’s boathouse. The 1st Cuddington group lost two great supporters last year - Judith Mobbs (wife of Alan and former Beaver helper), and Don Everitt (former Scout Leader, Explorer Scout Leader, Rowing instructor, RYA Chief Instructor and much more.) Both individuals and their families received brilliant care from the wonderful team at Princess Alice Hospice. “The hospice has a history of supporting our community. As well as Don & Judith last year, in 1998, they supported Recce Hutchinson - former Scout Leader, proponent of pink fluffy slippers, brilliant jokes and very sage advice - and his family in the last stages of his life. As a group and as members of the wider community we value the support that they give. An array of participants are taking part in the sponsored row which kicks off at 00:01 on Saturday. They include Recce's son, Don's children, ex members of the group, current scouts, mums, dads and many more. The first leg includes a team with ex members who won the youth trophy in the Great River Race with Scouts approximately 15 years ago. 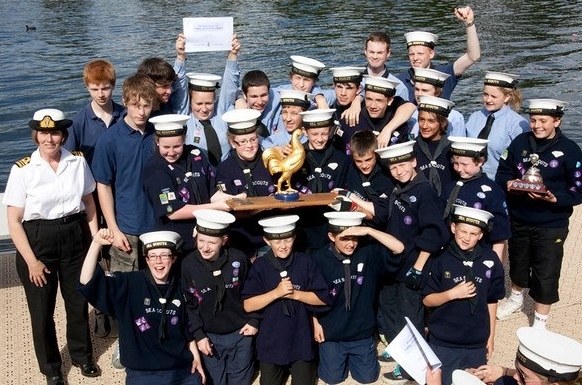 The Scout group is inviting supporters to join them at the finish to cheer the last boats home and enjoy a summer BBQ. Crews are expected between 5.30 and 7pm. 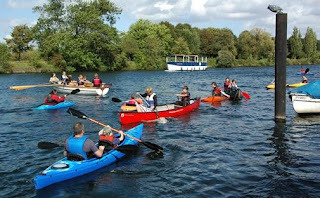 if you would like to join in the fun check out http://scoutsrow.blogspot.co.uk for updated details. So far the group has raised over £3000 online and more using the traditional paper sponsorship form. Their hope is to raise at least £4,000 for the two causes. "Over £7900 raised and the boats made it back in fine style at 7pm"
That's nearly double the target amount raised! Jolly good going and well done to all concerned. Remember Vera and Joe's Dance Academy? What’s that up in the sky?